Experience the best Melbourne has to offer with this great value tour package including the spectacular Great Ocean Road, the adorable little penguins of Phillip Island and entrance to Eureka Skydeck. Travel along one of the world’s most impressive coastal drives and enjoy the pristine beaches and limestone cliffs on the 1 Day Great Ocean Road. Be astounded at the remarkable spectacle of little penguins coming ashore after a day’s feeding out at sea on the 1 Day Phillip Island Tour. 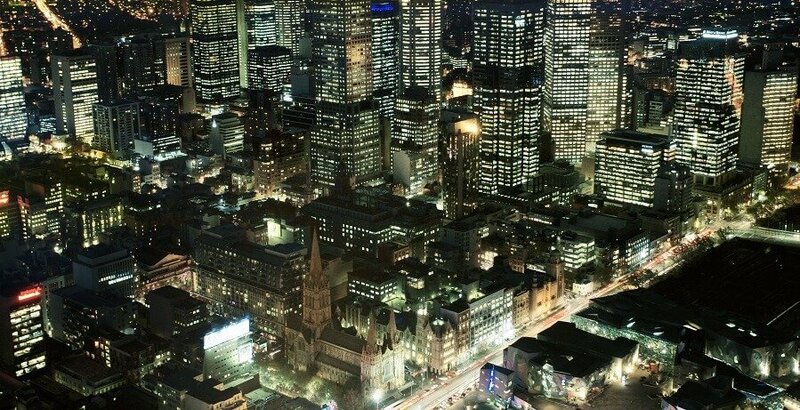 Back in Melbourne, take the Southern Hemisphere’s fastest elevator to view the grand beauty of the city from nearly 300 metres up. Once you have finished the Must Do Melbourne Tours Package you will return home with incomparable memories of the best attractions of this sensational city. 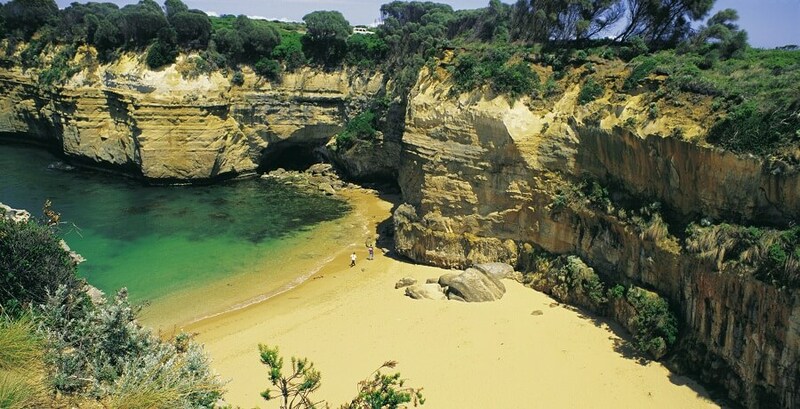 Discover why the 1 Day Great Ocean Road is one of our most popular tours. 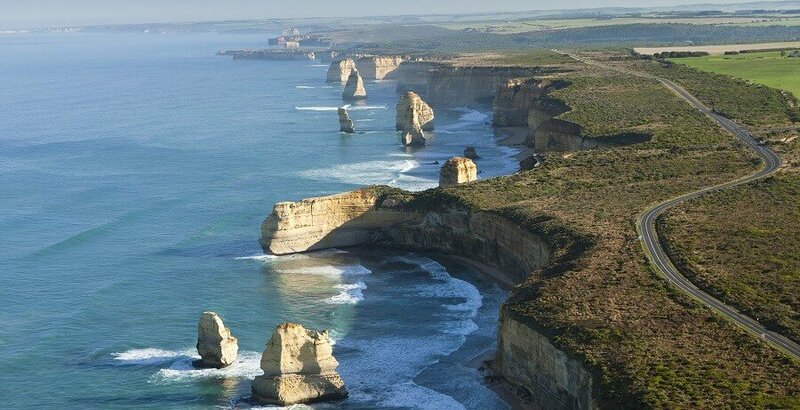 Travel along one of the most spectacular coastal drives in the world to the iconic 12 Apostles, taking in pristine beaches, jagged limestone cliffs, towering rainforests and charming country towns along the way. Leaving Melbourne in the morning we drive straight for the Surf Coast, making stops at Urquhart Bluff, Memorial Arch and Cape Patton before stopping for lunch in Apollo Bay. 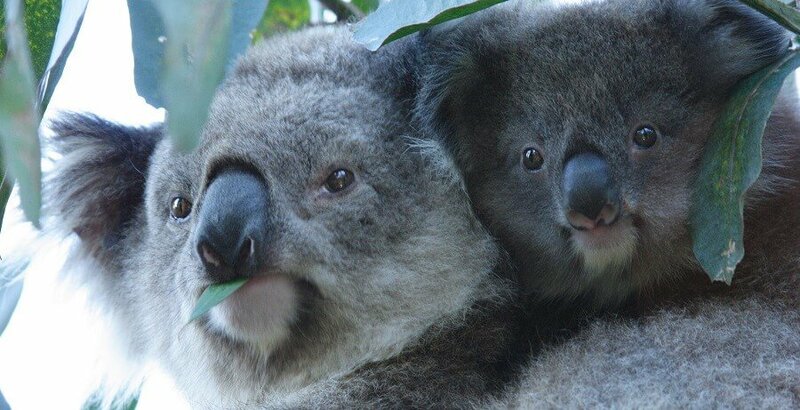 We enjoy a delightful bush walk to spot koalas and other Aussie native animals in their natural habitat. Be dwarfed by the colossal eucalyptus trees of the Otway Rainforest then awe at the power and beauty of the ocean as it continues to shape the coast at the 12 Apostles. Listen to tragic tales of the Shipwreck Coast as we continue our drive towards Loch ard Gorge and London Bridge. Finally, sit back and relax as you watch the country scenery go by on the drive back home to Melbourne. For a more detailed itinerary of the 1 Day Great Ocean Road tour as part of the Must Do Melbourne Tours Package, click here. 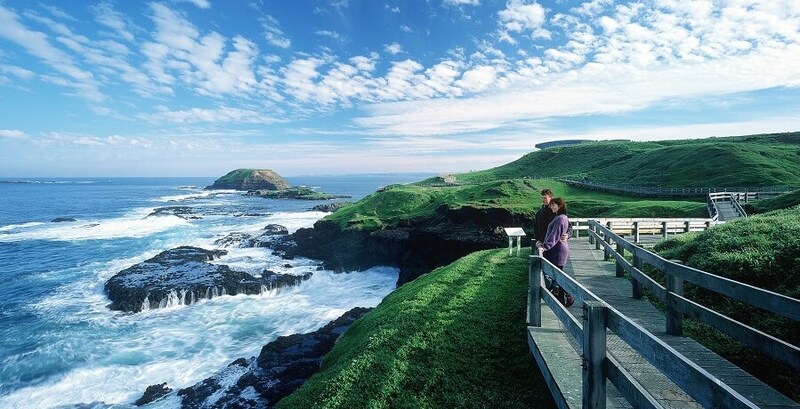 Combining Victoria’s stunning coastal scenery with some of the best wildlife experiences, no Melbourne tour package would be complete without including Phillip Island and the iconic Penguin Parade. Fill your Instagram with photos of close encounters with Australia’s unique wildlife at Maru Wildlife Park before crossing over the bridge to Phillip Island for stops at Woolomai Beach, the Grand Prix Circuit and Nobbies. 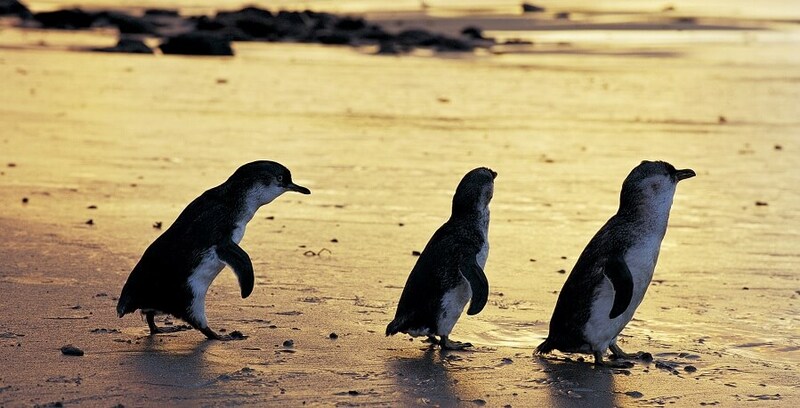 As the sun begins to descend, watch amazed as the little penguins emerge from the ocean and waddle across the beach to the safety of their burrows in the nearby sand dunes. Once they are safely tucked up in the homes, we return to Melbourne with incredible memories of Phillip Island. 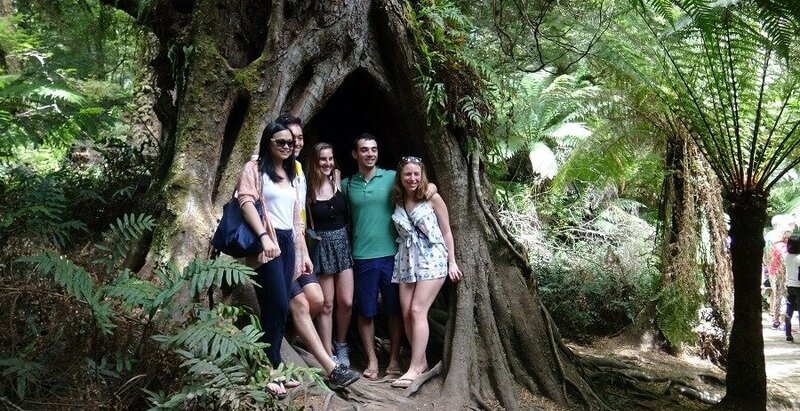 For a more detailed itinerary of the 1 Day Phillip Island tour as part of the Must Do Melbourne Tours Package, click here. 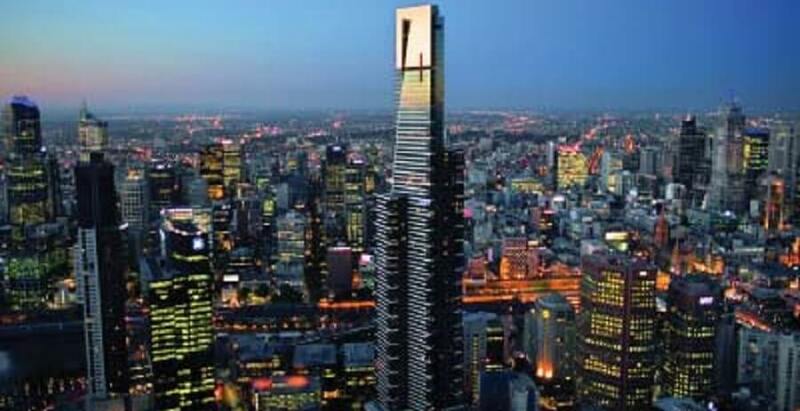 You haven’t truly seen Melbourne until you have taken the 38 second elevator ride to the 88th floor of the Eureka Tower to view it from nearly 300 meters above. With floor to ceiling windows giving you 360 degree views across Melbourne, you will have a unique perspective of Melbourne’s attractions and surroundings. 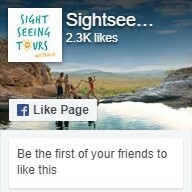 Why not check out our other Melbourne Tours?